This is a remnant of one of Connecticut’s most tragic natural disasters. The Flood of 1955’s impact on Winsted, Torrington, and Thomaston has been discussed before on this blog. Two feet of rain fell on the state, and 87 residents of Connecticut were killed. 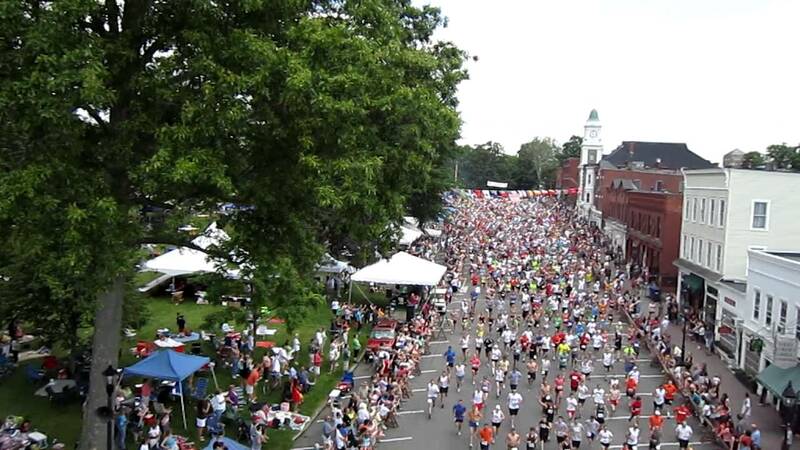 Twenty-two million dollars worth of damage were inflicted in Torrington alone. In Riverton, a cement structure that housed an apparatus to measure the depth of the Farmington River was swept away by the surging waters. It was found downstream, and brought to the local baseball fields. More than thirty years later it was adorned with a plaque honoring the memory of local volunteer Bill Van Allen. It stands there still, a silent sentinel to the power of Mother Nature and the fury unleashed on northwestern Connecticut over sixty years ago. Special thanks to Mike DeMazza for his help in solving the mystery of the cement structure! Monument at the birthplace of Charles Grandison Finney on Cunningham Road in Warren. 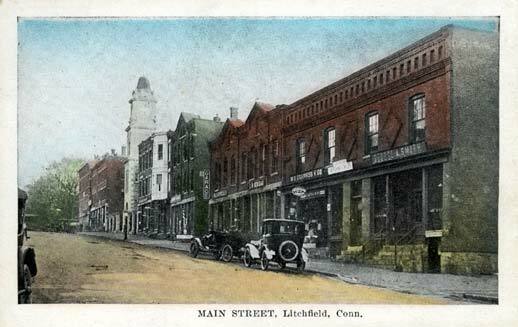 There were no great battles fought in Litchfield County, nor were any presidents born here. The county has, however, left an indelible mark on American history, perhaps in no area as great as in religion. 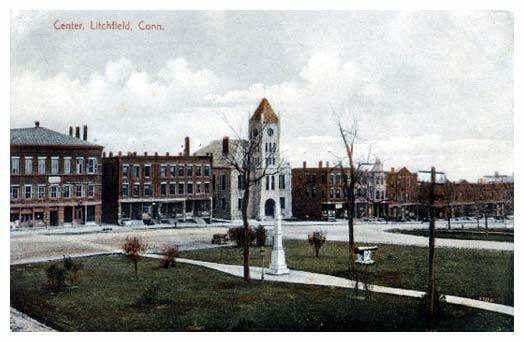 The county was the home of Joseph Bellamy, Lyman Beecher, Horace Bushnell, and Michael McGivney. 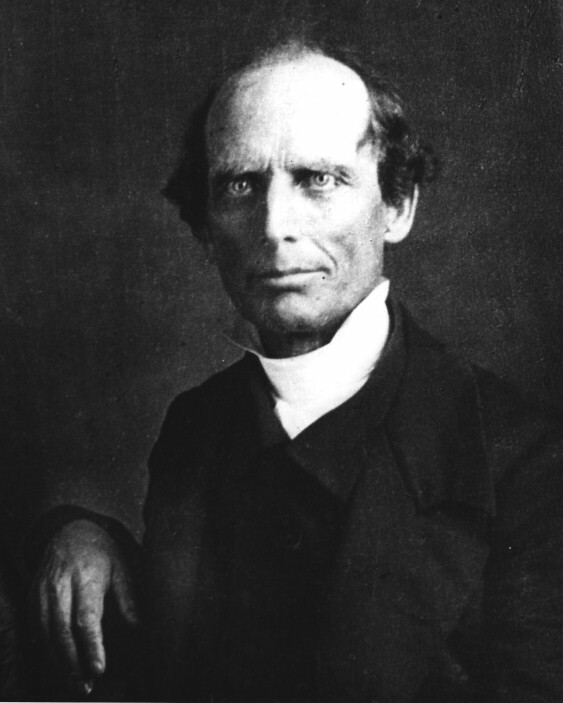 Another extremely prominent American religious leader who called the county home was Charles Grandison Finney, born in Warren in 1792. Finney was the youngest of fifteen children, and the family moved to upstate New York soon after his birth. Finney has been called the “Father of American Revivalism,” and the area in western New York in which he operated became known as the “Burned-Over District” for the intensity of the religious revivals there. The high point of Finney’s revivalism was 1825-1835, and they were particularly popular in towns like Rochester that were undergoing dramatic economic transformations brought on by the opening of the Erie Canal. Finney preached salvation through faith alone, but also wrote of the role of the individual’s will in achieving salvation. Finney’s religious views led him and his followers to promote social reforms, especially abolitionism and educational opportunities for women. These beliefs led him in 1835 to Oberlin College in Ohio, which accepted both genders and all races. Finney would go on to serve as the school’s president from 1851 to 1866. Getting to this monument is very challenging; it is advised that those seeking it walk or mountain bike down Cunningham Road. Thanks to Warren historian Ellen Paul and the dog walker I fortuitously met along Cunningham for the directions! Thanks also to Jason and Amanda McGrew for their assistance. 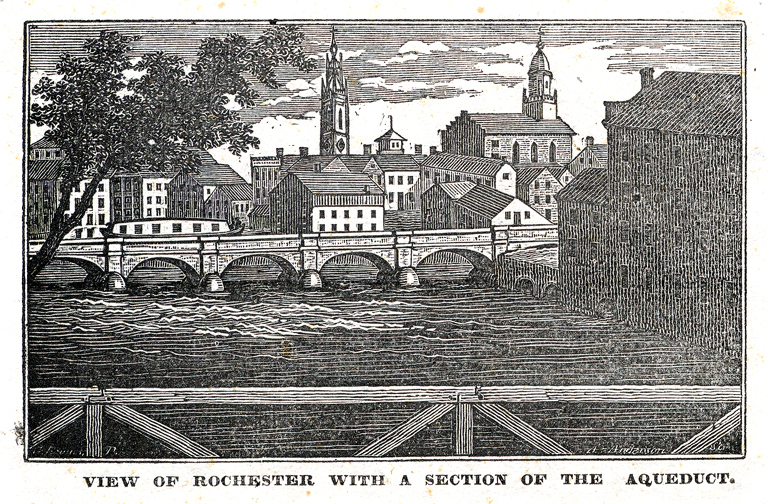 For more on Finney and his revivals in Rochester, see Paul Johnson’s wonderful A Shopkeeper’s Millennium: Society and Revivals in Rochester, New York, 1815-1837.